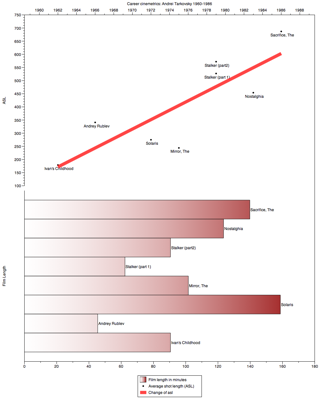 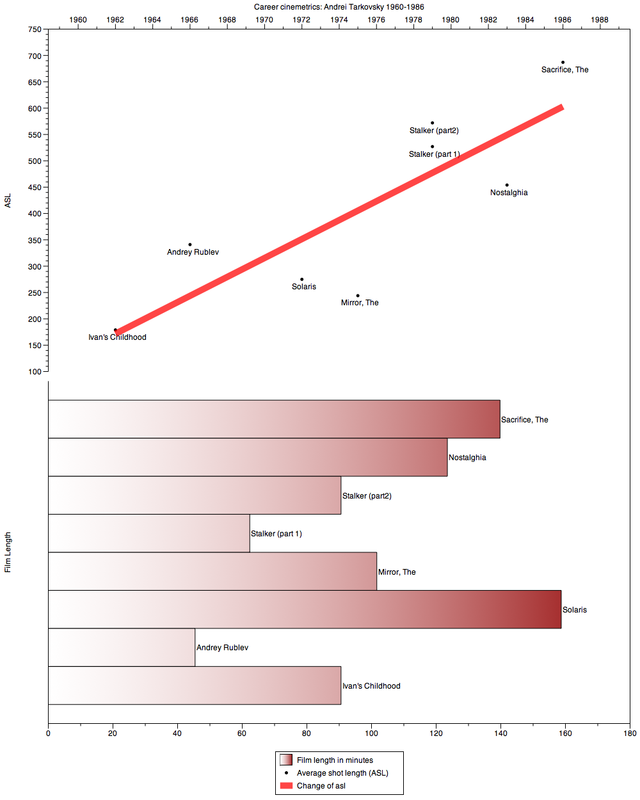 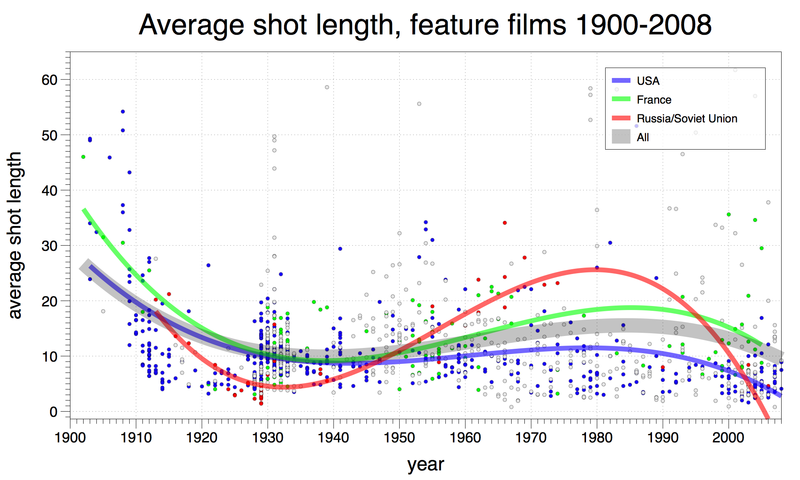 FilmHistory.viz is an exploration of patterns in the history of cinema using data on 1100+ feature films. 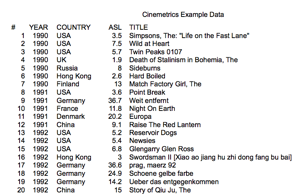 The data was collected by film scholars from around the world and is available at Cinemetrics.lv. 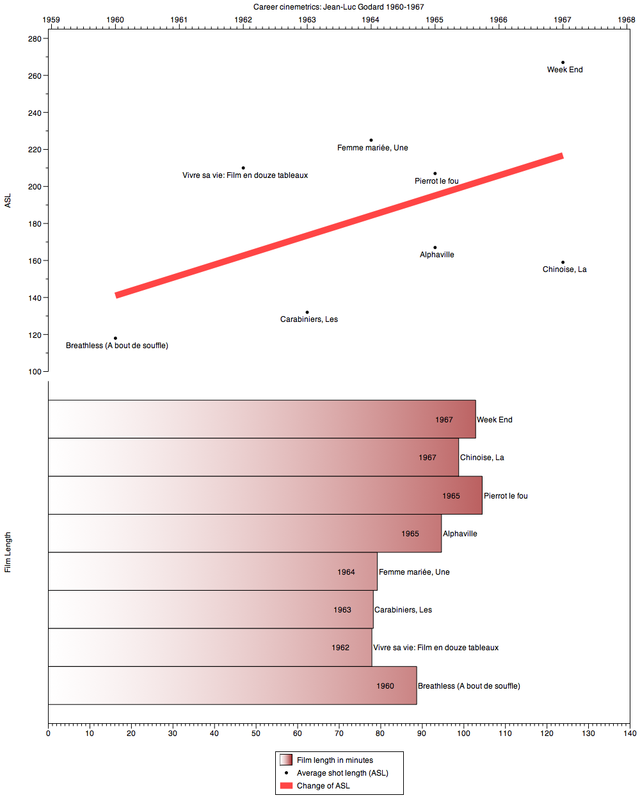 For each film Cinemetrics databse provides statistics such as average shot length, number of shots, etc. 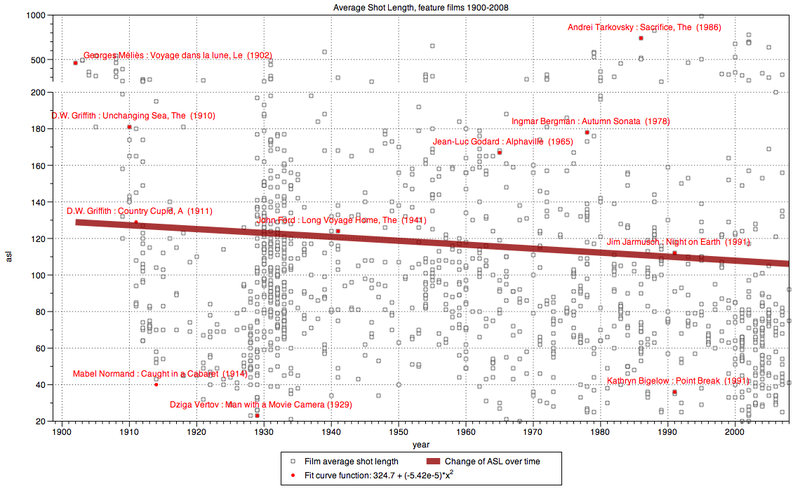 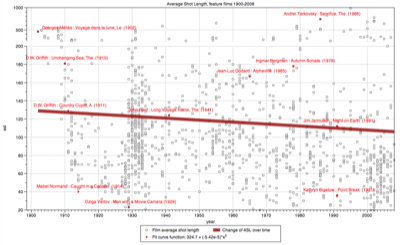 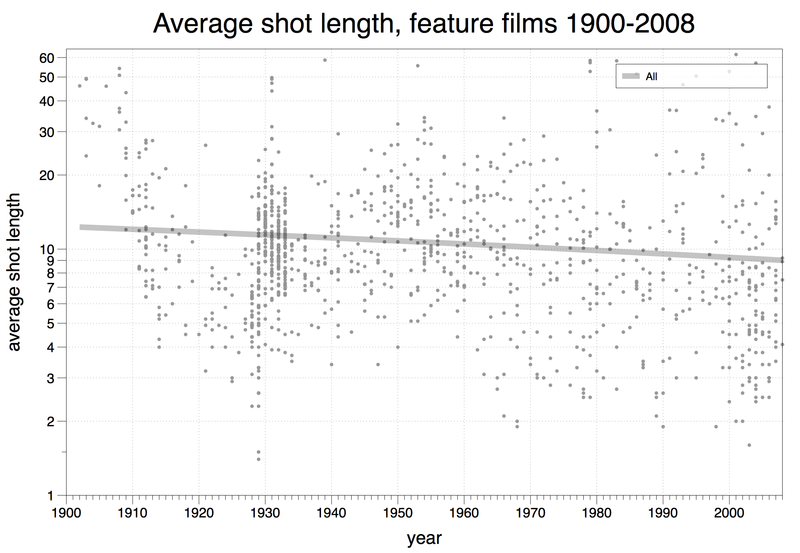 Our initial work looks at the patterns in shot lengths across different periods in the 20th century and diffirent countries. 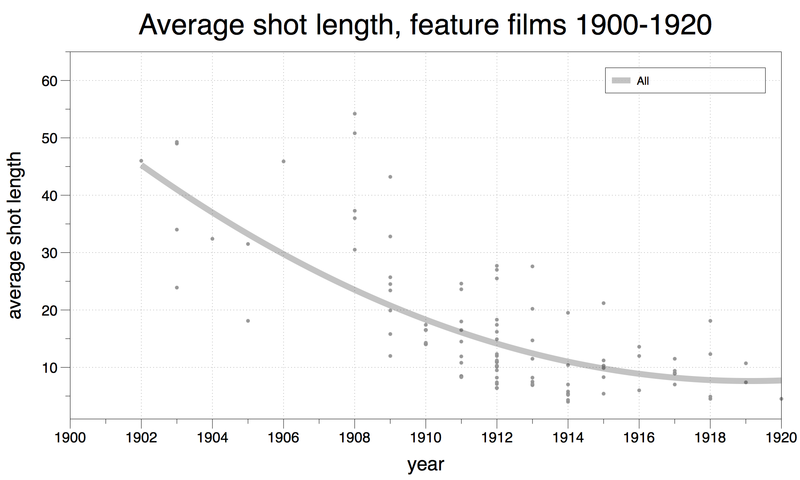 Special thanks to Yuri Tsivian for generously providing access to the Cinemetrics database.